Plastic coated pipe (L=4 m) – 1 mm thick. Nine standard colours and ESD finishing are available. Custom colours are available for orders of minimum 1000 m per colour. 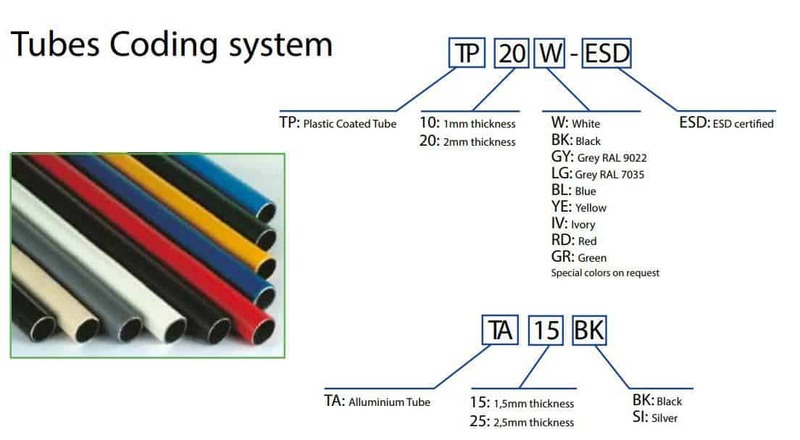 Plastic coated pipe (L=4 m) – 2 mm thick. 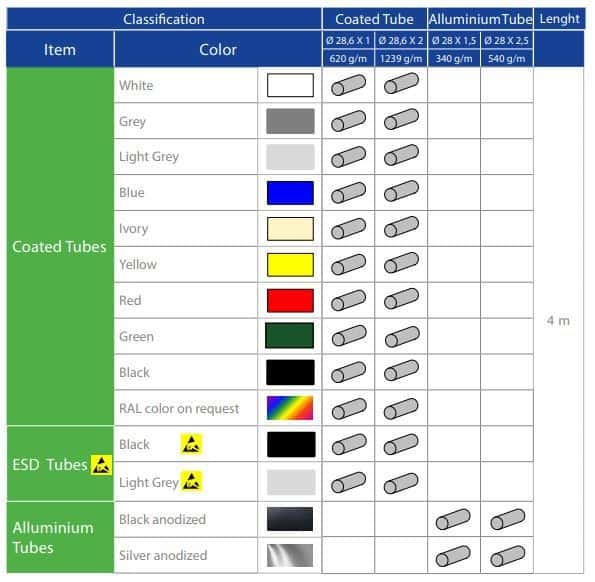 Nine standard colours and ESD finishing are available. Custom colours are available for orders of minimum 1000 m per colour. Alluminium pipe (L=4m) – 1,5 or 2,5 mm thick. Two standard colours are available.